At FCI we take safety seriously. 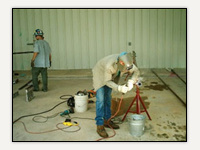 We have initiated a safety program that is company wide and adhered to on all of our job sites. 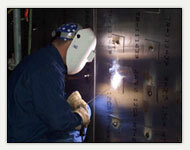 It is our belief that a safe work environment and quality work will result in an effective and productive workforce. 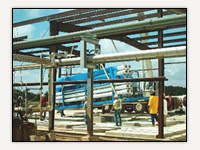 We stress quality in every way and believe we can efficiently perform quality work within the safety guidelines set by OSHA and FCI. We at Fucich Contracting understand the importance of working closely with project management to help identify potential conflicts in the field and provide effective solutions, track progress, and document field changes to help keep projects on time and within budget. We strive to work closely with other contractors and disciplines to maximize productivity and realize the value of precise, accurate, and timely reporting of information associated with the project. Our extensive background in the construction industry allows FCI access to the most knowledgeable and experienced journeymen and craftsmen in their respective fields, which produces effective results in safety, quality, and productivity resulting in better services at lower cost to our clients. 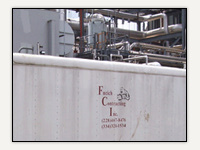 FCI utilizes the most experienced and highly skilled supervision personnel to effectively plan and execute even the most complicated tasks associated with construction work. We continue to improve our work processes by creating detailed work plans and executing the plans while maintaining the flexibility needed to manage changes as they occur.